Wedding Videography. It’s one of those options to have at your wedding, that often divides many bride and grooms. For some, it’s an absolute must and they’re going to do whatever it takes to hire the perfect Wedding Videographer for their wedding. For others, it’s a possible idea. Something that they ‘might’ do if they have space left in their budget, but isn’t a ‘must have’ for their wedding. Then there are those who absolutely in no way shape or form, wan’t a videographer at their wedding and just the thought of being filmed horrifies them. Over the years here at Perfect Moment Films, we’ve experienced each and every type of these approaches to wedding videography and we totally understand the thought process and reasoning behind each. Wedding Videography in the past, has had a little bit of a bad reputation, with many bride and groom’s worried about the ‘cheesy, shaky and dated’ look and feel to films that admittedly have been produced in the past by some wedding videographers. However, these days this is not the case at all. Many wedding videography companies out there now are producing beautiful, creative and cinematic wedding films for couples, many of which that wouldn’t look out of place on the big screen. Gone are the days of cheesy, awful backing tracks and in are the days of beautifully composed shots, strong narrative based audio and stunning storytelling techniques. The importance of a wedding videographer is very much on the up and for that reason, it’s essential that you now consider hiring a videographer as part of your wedding day experience. Below are 5 reasons why we think (and many other lovely previous bride and grooms!) think wedding videography is a must. 1. The day goes by SO fast! Many of our past bride and grooms have often commented on just how fast that their wedding day flew by. You’re surround by a lot a friends, family and guests and often don’t get much chance to actually take the day in, often missing out on what may be taking place around you. By hiring a wedding videographer, you get to experience and re-live all those moments you otherwise may have missed. This is especially so, when you may be undertaking your ‘couple’ or ‘portrait’ photos. As at this point, you will have left your guests to go with your photographer for photos and therefore would be unaware of any events that may be taking place whilst you’re gone. With our all day package, we film we two videographers for the whole day, therefore allowing one of us to film your portrait session and the other to stay with your guests and make sure no special moments are missed. As wedding videographers, our soul aim with any wedding film we create is to make sure we capture all the emotion and story from your wedding day and to reflect it back to you in the most beautiful way possible. Of course with any wedding, emotions are certainly always high and this leads to many beautiful moments for us to capture. Whether it is the Father of the Bride with tears in his eyes when he see’s his daughter for the first time in her dress, or speaking proudly of her achievements growing up or even if it’s the Best Man describing endless hilarious moments within his speech about the groom. A wedding film can reflect a whole array of emotions through beautiful cinematography and sound, that definitely could not be captured to the same degree through just photo’s alone. To this day, one of our favourite moments from a wedding was capturing the very first announcement from a groom to his guests, that he and his bride were expecting their first child together. It was a stunningly beautiful moment and one that could only be correctly reflected through a wedding film. With the creation of the internet several years ago, theres now no better and easier way to share your wedding film amongst all your family and friends. Especially those that perhaps couldn’t make the day itself. Most wedding videography companies offer both a highlight film (a short ‘best bits’ style film of the day) and a feature film as part of their packages, which are then uploaded online for their couples to view. The great advantages of this are that not only are the films presented in full HD, but it also means that you can share the link of the film amongst all your family and friends on social media websites such as Facebook, Instagram and Twitter. With the rise now also in streaming services and websites, along with Apple TV and Smart view TV, it’s also now possible for wedding videographers to share full films online too. This is a fantastic way to view films and is such an easy way for those who weren’t at the wedding, to be able to view the whole day from the comfort of their own home – which is particularly useful if they live abroad. Films can also be downloaded and saved to your computer, which is a fantastic way to future proof them for many years to come. More often than not, couples when asked this have said they’d definitely pick the wedding film, as all round this is the most complete and accurate representation of how the wedding day went. A wedding film can bring back to life many past moments, characters and voices that were since otherwise just a memory and because of this, in our opinion they are priceless. In our opinion, having a beautiful wedding film made of your day, is a priceless necessity. As wedding videographers, we’re obviously of course very biased, however we feel as an all round option, there is no better way to remember your wedding day for years to come. Yes you may already have a wedding photographer (and we fully support and recommend you do have one! ), but can the photographer alone fully provide a true reflection of your day and help you re-live all the laughter, tears and memories from the day. 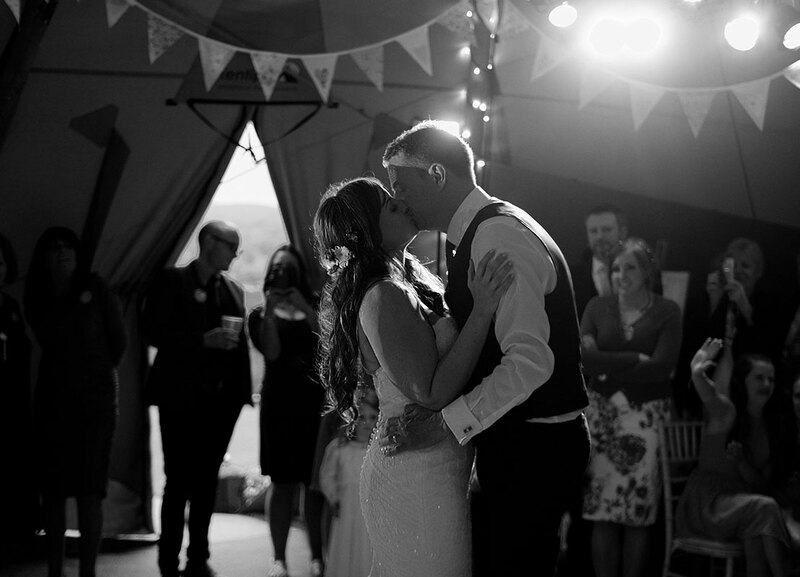 After all all, you can’t put a wedding film up on your wall, but you can’t hear the emotion in a photograph. Most wedding companies these days average at around the £1500-1800 mark for providing a full day’s wedding coverage. Of course there are some that are more expensive than this and others who are much cheaper than this. It all depends on what value you put on having your wedding day covered correctly. However we’d always promote spending at least £1000 on a wedding film, as there are many costs such as licensing that need to be purchased in order to provide wedding videography professionally and we’re not entirely sure how anybody charging less than £1000 can be doing that legally. When you compare the above average cost against many photographers packages, it is often similar or the same, yet in some ways there may be a lot more work that has to go into the creation of your wedding film, such as the syncing up of several cameras, choosing and mastering audio and also colour grading. So when you think about it like that, are wedding films really that expensive? We really hope the above points have proved useful to you on your decision making process regarding a wedding videographer. If you would like to discuss with us our package and pricing, or have any further questions regarding the points raised, please contact us. We’d be more than happy to talk to you about our wedding videography.